Brakes are the most important safety component on your car. Anti-lock braking systems (ABS) have been standard in vehicles for more than 30 years and help provide stopping power when traction with the road is poor. With anti-lock braking system (ABS), even when applying the full force of braking power, the vehicle remains under your complete control, thanks to ABS. It uses precise regulation of the braking pressure on the individual wheels to ensure that the vehicle can always be steered easily. 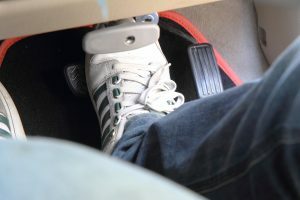 If you suspect your ABS system isn’t working correctly – unresponsive brake pedal, brake pads require more effort to push, the brakes are locking up or if the ABS light on your dashboard is illuminated, it’s recommended that you take your vehicle to AutoImports of Denver. Our certified, highly trained technicians can properly diagnose and resolve the problem.